There is no question that we all want to avoid toothaches, tooth decay or gum disease. Ultimately, we all want the same thing: our teeth for life. The best way to maintain excellent oral health is by brushing and flossing daily using a high-quality toothbrush, toothpaste and floss, as well as regular dental check-ups and cleaning by a dental health professional. 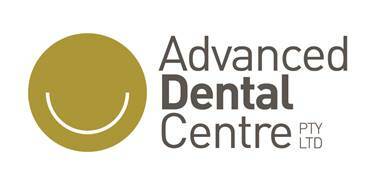 At Advanced Dental Centre, we focus on keeping your teeth and gums healthy. We are a proactive dental practice with a strong belief in preventative dental care – at a minimum we recommend six-monthly hygiene visits and will encourage you to book appointments in advance. Tooth cleaning: removing the build up of plaque and calculus from the teeth and restoring soft tissue health. Comprehensive dental examination: includes examination of teeth and soft tissues using visual, tactile and imaging techniques, and x-ray analysis. Education programs: advice on at-home care and nutrition. Preventive dentistry also means healthy teeth and gums for your children. Our professionals will help you to develop a combination of Advanced Dental Centre and at-home preventive dental care, to ensure your children establish life-long habits for happy teeth.